Interflora World Cup is the world's most prestigious event for the floral industry. It is a design competition that showcases the most talented floral designers from around the globe. This international floral design competition is held approximately every four to six years and hosted in a different location. Florists' Transworld Delivery (FTD) is proud to host this premier competition for the first time in the U.S. since 1985. 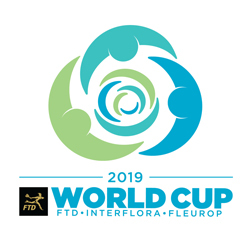 The competition, named FTD World Cup 2019 in recognition of the event's host organization, will include up to 30 countries and is being held in Philadelphia, PA, at the PHS Philadelphia Flower Show in March. The winner will be named Interflora World Cup champion. please complete the sponsor information form. Copyright© 2019. FTD® All Rights Reserved.